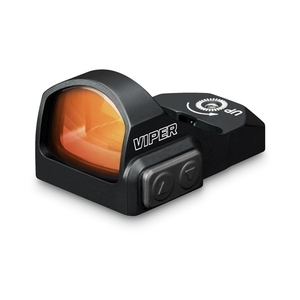 Vortex Viper Red Dot. 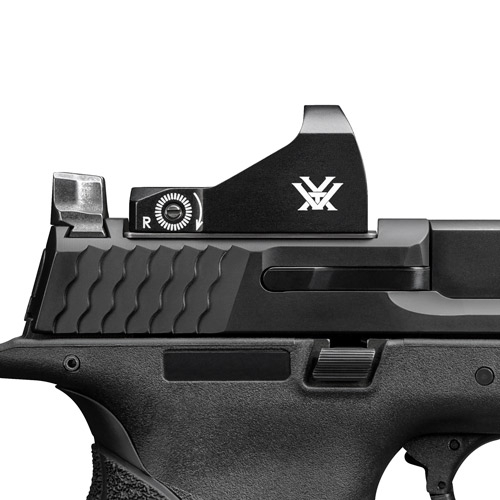 The Viper Red Dot's super-low mounting height makes it the perfect solution for handguns with cutout slides. The Viper gives shooters the simplicity and speed advantage of a dot sight, while co-witnessing with suppressor height iron sights. The trade off? Nothing. 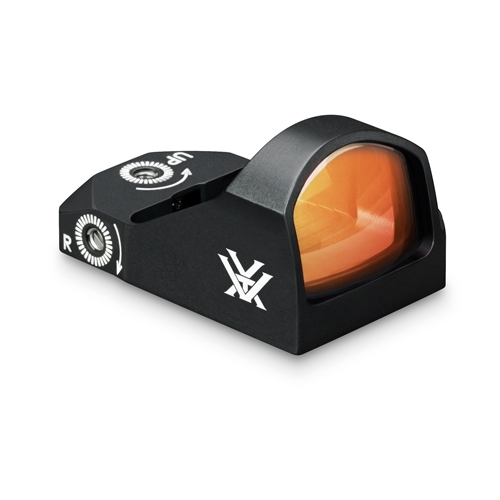 The 6 MOA dot diameter gets shooters on target fast. 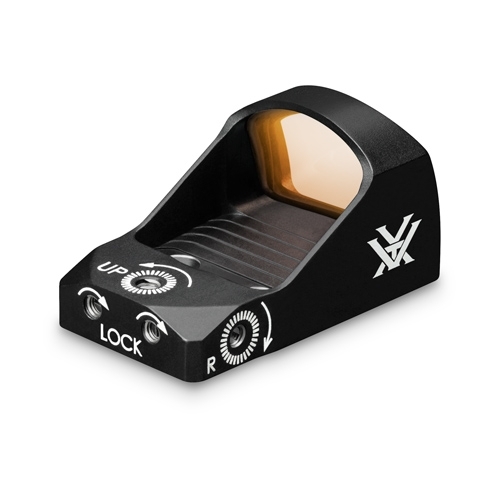 All red dot and holographic sights will exhibit some small amount of parallax. Matching current industry practice, this small amount would be considered “parallax free” and will make a negligible difference in the Viper’s performance. 14-hour auto-shutdown feature maximizes battery life. Up to 150 hours of use at highest setting. Use at the more common lower settings can allow up to 30,000 hours. Glock MOS (9mm or .40) - (SHIM-BDS) - Use plate #1. Glock MOS (.45 or 10mm) (SHIM-BDS) - Use plate #5.